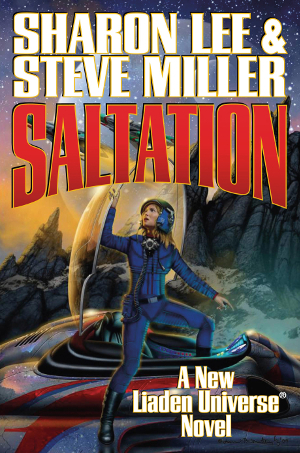 Years ago I read a book entitled Agent of Change, written by Sharon Lee and Steve Miller. It was a good story but, for some reason or other, I never read another of their stories – until a couple of months ago. While browsing through Barnes and Noble at Metro Pointe in Costa Mesa, California, I happened on Ghost Ship and purchased it. Big mistake. I enjoyed the heck out of it and found that it was at the tail end of a series of stories – the Liaden Universe. 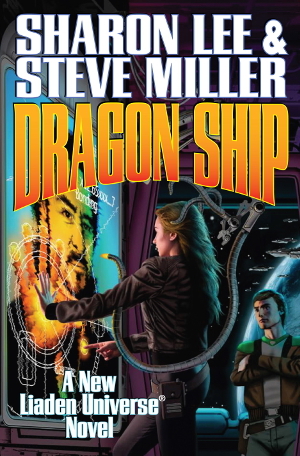 I then bought the two books preceding it, Fledgling and Saltation; read them, re-read Ghost Ship and got Dragon Ship (in hardcover). These books deal with the teenage and early adult years of Theo Waitley, daughter of Jen Sar Kiladi, a professor of cultural genetics, and Kamele Waitley, a professor of educational history. Theo Waitley lives on Delgado at the University and her education revolves around being groomed to follow in her mother’s academic footsteps. She is, however, a bit of a misfit; she is “physically challenged” and grouped in a team whose members all seem to have a different problem. Jen Sar Kiladi is a phantom with a past and Kamele is both bright and more adaptable to circumstance than seems at first. No, I will give no more hints and spoil no more surprises. These four books (Fledgling, Saltation, Ghost Ship and Dragon Ship) are Theo’s coming of age story. I enjoyed each story and recommend that you read them in the above order, i.e., chronologically. And, I impatiently await the next story. 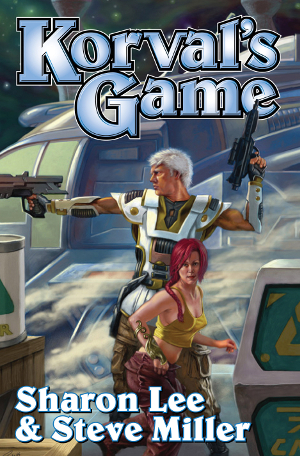 At the beginning of each book is a list of other stories by these authors published by Baen Books. And, having enjoyed Theo’s story, I wanted to see what else they had written. I didn’t recognize any of the titles so I went to the Internet to see what was there. I found korval.com. There were a dozen published novels in the Liaden series and, although they were not written in chronological order, there was an “Internal Chronology” list. As a general rule I buy older books at used book stores; why buy a new copy of a book first published twenty years ago? Well, I was hungry; I wanted to read the entire series NOW. Ergo, Amazon.com. The Crystal Variation, The Agent Gambit, Korval’s Game and The Dragon Variation. These are omnibus editions of previously published novels and, if read according to the internal chronology, tell a single coherent story. You’ll also “need” to buy Mouse and Dragon and read it after you read Scout’s Progress; these two books tell the story of Theo’s father. When my package from Amazon arrived with all of the above, I dove into The Crystal Variation, the story of Cantra yos’Phelium and the founding of Liad and Clan Korval. 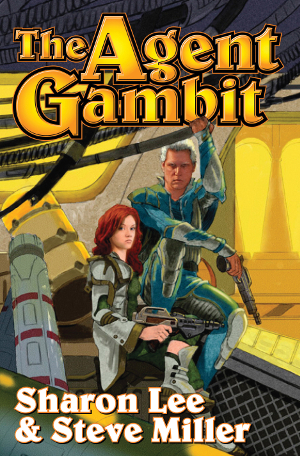 Three days later, remember I am retired and have a lot of time to read, I began The Agent Gambit. Clutch Turtles, AHA! Now I remember. How had I missed reading these stories over the last twenty years (A couple of days later I found my original copy of Agent of Change in our garage library.)? Oh well, no matter, I now had all of the stories and the time to indulge myself. 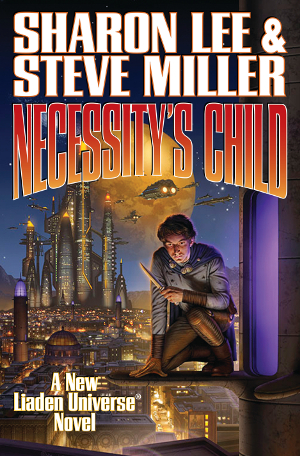 I proceeded to do so and over the course of the next ten days finished the series, including Necessity’s Child. What next for Edger, Theo and Bechimo, Miri and Val Con, Kamele and Aelliana? Guess I’ll have to wait. Sharon and Steve, please, hurry. Time to get the short stories. PS – If you’d like to get started on the cheap, visit baenebooks.com. Click on the Free Library link and you can read Agent of Change and Fledgling for free on your computer or download a copy. Be warned, however, they really aren’t free – you’ll end up buying other books in the Liaden series.